The rise of social games has been nothing short of meteoric, but what is it about games like FarmVille and its ilk that is so addictive? You can't move on Facebook without bumping into a social game, and it seems that everywhere you look people are growing crops, raising fish, or even fighting brutal gang wars. But why do social games have this incredible appeal? The answer, explains Wendy Despain in Issue 264 of The Escapist, is a combination of clever design and psychology. Despain poured hours into different games on Facebook, and was often pleasantly surprised to discover that she was having fun doing things that she had assumed that she wouldn't enjoy. I had to let go of some of my preconceived ideas ... just because MMOGs hadn't figured out how to make farming fun for me didn't mean that nobody could. FarmVille managed to make the mechanic of waiting for crops to grow into something more interesting than being held hostage by a boring progress bar. 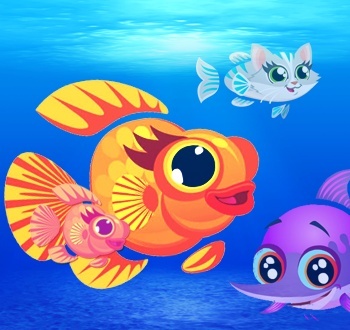 To find out how social games developers have incorporated the wants and needs of people into their game designs, read the rest of Falling Into a Happy Aquarium.